There are so many reasons to check out Blue Ox Running. Yes, Eau Claire finally store dedicated to running gear. 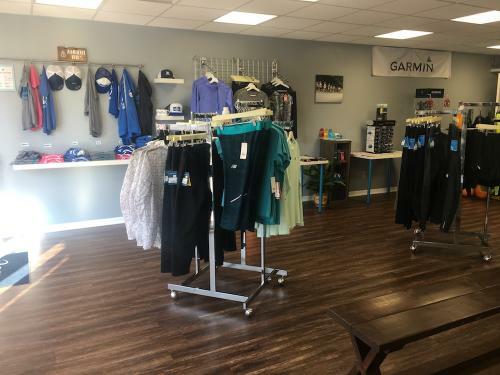 With all of the beautiful trails available to run on, the Eau Claire Marathon taking place here and the active community Eau Claire boasts, this store is a great addition to downtown. Here are the 10 reasons why you should go and check out Blue Ox Running. Not sure what fuel to get? Are you completely new to running and not sure where to start? No worries. There is no reason to be intimidated to go into this store. The staff are very knowledgeable and can answer all questions, whether you&apos;re a newbie or a seasoned veteran. Plus, they&apos;re some of the nicest people you&apos;ll come across. Before you get out there and start pounding the pavement or hitting the trails, it&apos;s crucial that you have the right shoes. Sadly, picking the one with the best colors isn&apos;t a recipe for success. With so many running shoes on the market, it can be overwhelming trying to select the right one. At Blue Ox Running, you can have a gait analysis done. The staff will get you on their treadmill and watch you run to see if you pronate, supinate, etc. and then have you try on shoes that meet your needs. Some of us need minimalist shoes, others stability shoes and then there are shoes for trail vs. road running. Blue Ox Running can help you find the perfect ones for you. 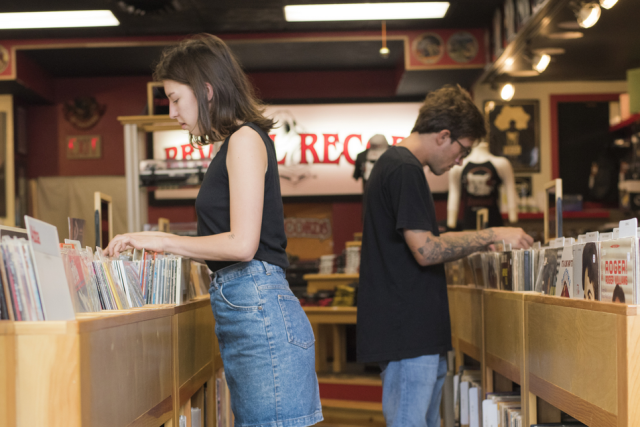 You don&apos;t have to go to Blue Ox Running just to shop. Periodically, they offer informative clinics for runners. Leading up to the Carson Park 5 and 10 for example, they offered a few clinics on Thursday nights. One was on injury prevention for runners, another on core fitness and even one on race day strategies. It isn&apos;t just a place to buy gear; it&apos;s also a place to become a well-informed runner. These people are passionate about what they do, and want to share their knowledge with the community. Don&apos;t you mean runs? No. I mean wuns. On Wednesday nights, anyone looking for a light social walk/run is welcome to join in this low-key fitness event. Runners/walkers alike are invited to get in some cardio and make friends. Organized by Kris Neilson, this is a great way to stay active. Sometimes they even go for libations afterward. Join the Well Wuns (Walk-Runs) group on Facebook for further details. General sporting goods stores serve a purpose, but sometimes they can be overwhelming. Blue Ox Running is a more user-friendly experience if you want to shop specifically for your running needs. Plus, with the staff having specific knowledge about running, you can get the shopping experience you need without fighting huge crowds of general sporting/outdoor enthusiasts. Whether you need a moisture-wicking hat for your runs or a zip-up sweatshirt, Blue Ox Running has you covered. The items even feature their logo so you can spread the word about this great new business. Plus, it&apos;s always great to support local businesses. Because Blue Ox Running is a running specialty store, sometimes they get the latest running shoes earlier than everyone else. Be the first runner on the trails with a new pair of kicks. Runners don&apos;t just need running shoes; they need fuel to keep them going. From Gu Energy Gels to Nuun electrolyte tablets, this is the place to go to make sure you&apos;re giving your body the nutrients it needs to keep going, especially on those long runs. We know how short and dark the Wisconsin days can get once Daylight Savings Time ends. But you don&apos;t have to give up your early morning/late evening outdoor runs. Blue Ox Running has headlamps, reflective vests and other types of reflective gear to keep you visible and safe as it gets darker. If you participated in the Carson Park 5 & 10, Fall Back Blast, etc. recently, you no doubt saw Blue Ox Running there with a booth. But they don&apos;t just show up at events to sell merchandise. They offer clinics leading up to the races and have even partnered with the local Indianhead Track Club to organize open training runs for upcoming events. 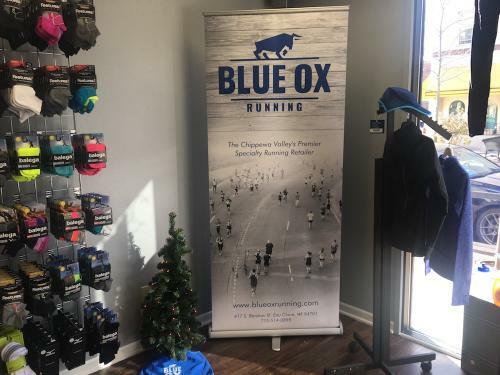 Don&apos;t be surprised to find a Blue Ox Running coupon in your swag bag when you do packet pickup for your event so you can treat yourself to running gear as a reward after completing your fitness goal. 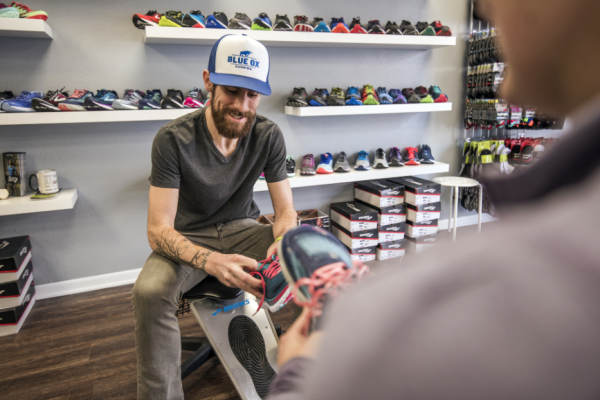 Whether you need to get fitted for shoes, reflective gear for those darker runs, or just want to meet the friendly/knowledgeable staff, Blue Ox Running should be the next Eau Claire business you visit. Make sure to snap some pictures with your new gear and share them with us using #CaptureEC.